And here comes a shiny-new update to ct.js! This update aims towards making ct.js both feature-rich and highly efficient. The most important change comes to ct.place: it got a bunch of optimizations and now works much, much faster. The previous approach just took a list of all the copies and collided them one against another, until it finds something. 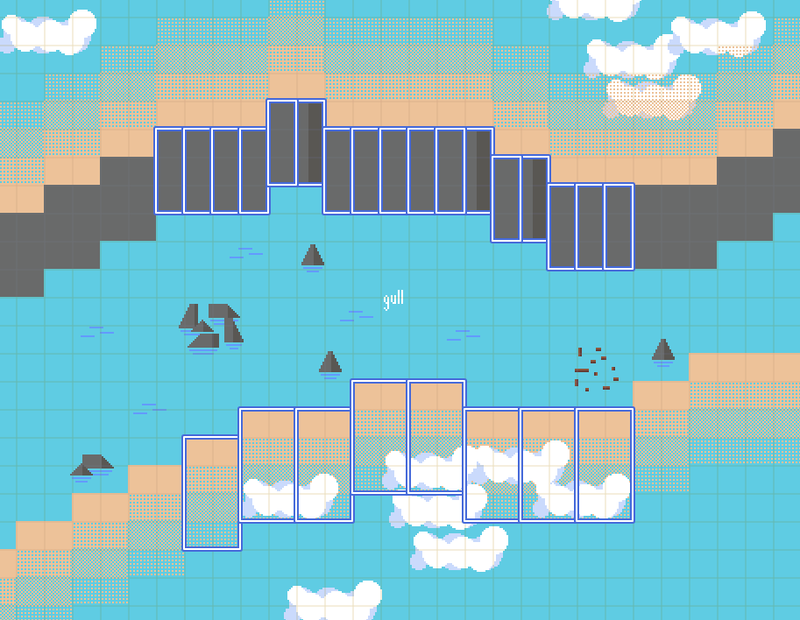 The new approach splits the map into rectangular chunks, and each copy or tile is stored inside 1-4 of these chunks. Copies collide with only those objects that belong to their own chunk. 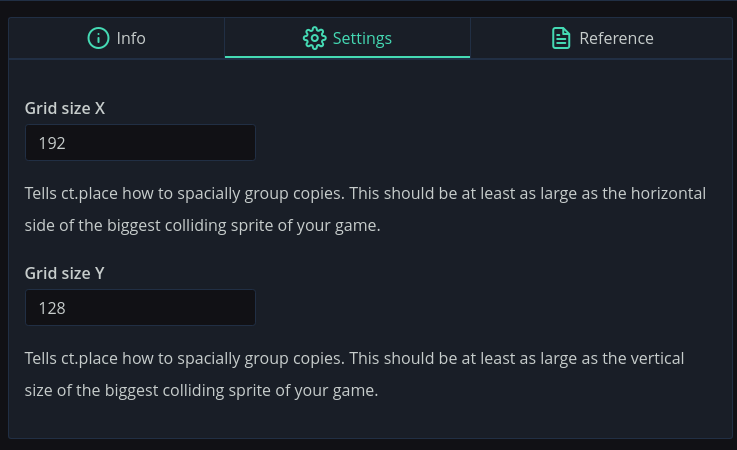 This makes collisions faster and allows games to scale greatly if the size of a single copy is much smaller than the whole map (and in most games, it is). You will hardly notice any difference if your game has a low quantity of copies, or they are sparsely placed across the map (e.g. in space simulators). For other games, this is a huge speed boost. These changes to ct.place will require a bit of config. The default values (512x512) will be set to your projects, but you might need to tweak them for better results. 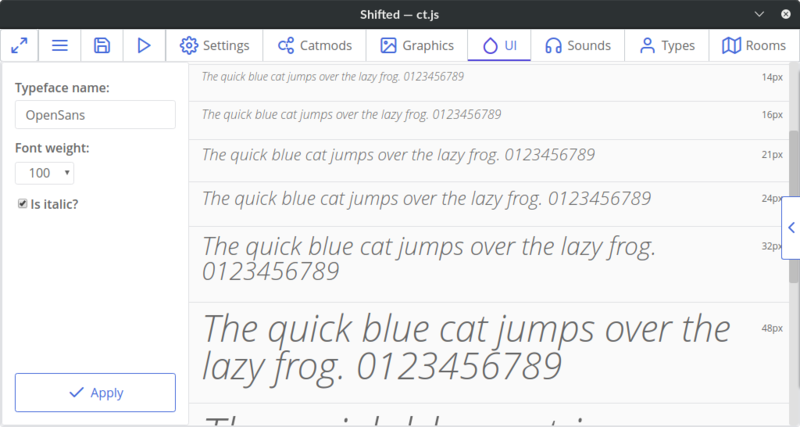 The Styles tab was renamed to UI, as it now manages both styles and fonts. You can now bundle custom .ttf fonts with your games, so you get both unique and uniform look across different devices. 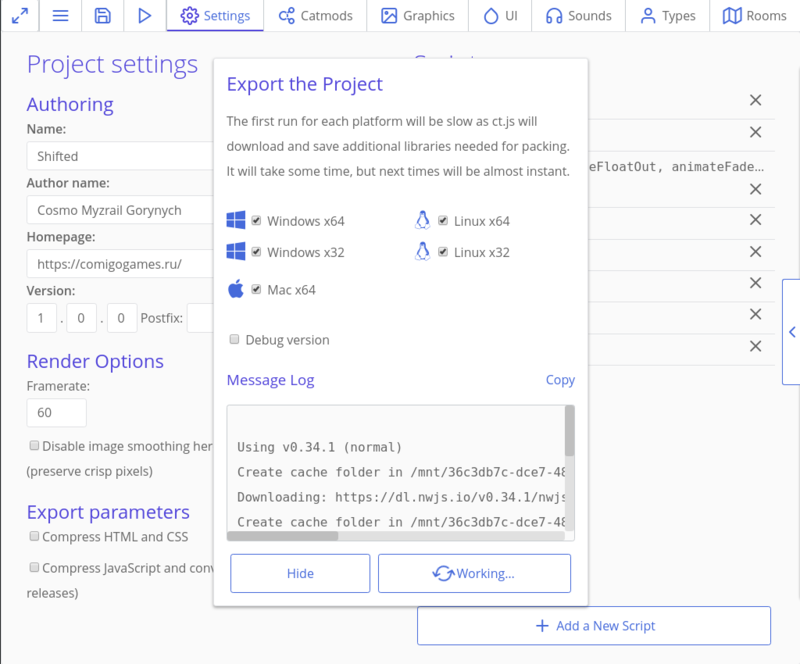 You can now export your games as executables for all the major platforms! Just click the menu button on the top-left corner. Supports Windows 7+, Linux and Mac. Future improvements of this feature will include custom icons and advanced settings. EQS stands for Environment Querying System. It is a system that allows your copies to get information about the world that surrounds them, interpret it as points, and then pick the best points suitable for your task. This is an experimental feature, though, so it may contain bugs. Beware! Have you ever drawn a ton of tiles only to realize you placed them on a wrong layer? I did, so I added a multi-tile editing. You can now shift tiles in groups, delete them, or move to another layer. These were most notable and important changes. I hoped I could do more, but due to the lack of time and some unforeseen events I had to postpone some features. Multi-tile editing should have come with multi-copy manipulations, and EQS comes in an untested form. I planned autocompletions for modules, too, but for now it will be for the core library only. In any way, I did quite a lot of work that shouldn't lay in silence on my laptop for months, too. If you face any bugs, please contact me at Discord or at the itch-based community! Add a /*%commented%*/ format for modules' configurable fields, as an alternative to the %standard% one. Make a small transition to a prototype-based system. Introduce this.draw, this.move and this.addSpeed calls on copies. Updates to Game Jam Sources and site are coming soon!